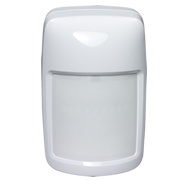 Ideal for all residential applications, Honeywell’s IS335 Motion Detector delivers exceptional value and performance while reducing false alarms. Installations are quick and easy. The IS335 features selectable pet immunity for animals weighing up to 80 lbs, an always-enabled LED, 40 x 56 range and a style that blends with any décor. The sealed optical chamber prevents drafts and insects from affecting the detector. Whether an intruder is directly in front of the sensor or at the edge of a protected area, the custom designed Fresnel lens provides a consistent level of detection—delivering optimal performance no matter what the distance. Shorter precision focal lengths mean superior optics and detection. Wide and long detection coverage for coverage range protection that exceeds similar products in the market. The IS335 motion detector provides superior protection against false alarms without sacrificing catch performance. Installers can turn pet immunity on or off simply by setting a jumper. When pet immunity is enabled, the detector can distinguish between signals caused by humans while ignoring pets up to 80 lbs. A patented black bug guard reduces false alarms by providing 2,000 lux of white light immunity. 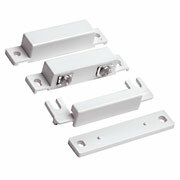 This helps reduce false alarm problems caused by lights, flashlights or reflective objects.